Twitter has been a bit preoccupied with length lately. 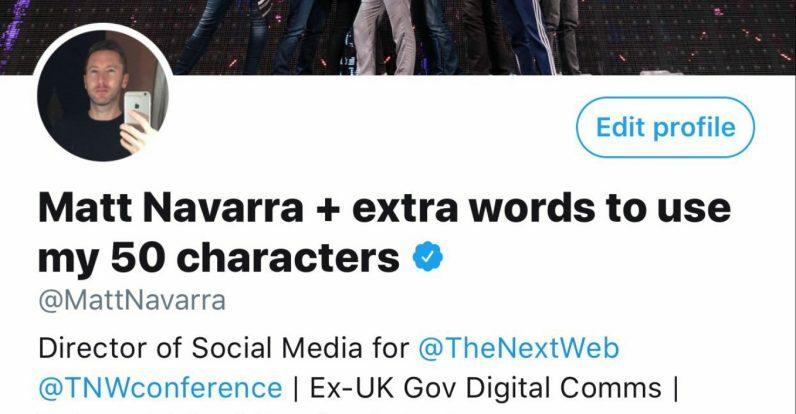 After permanently increasing the maximum character length for tweets to 280, it’s now allowing your display name to be longer too. You were previously limited to 20 characters, but now you have 50 to work with. That’ll give you enough room to saturate your name with emoji, or just let you set your display name to Supercalifragilisticexpialidocious – an opportunity I quickly took advantage of. I’m sure it’s also welcome for people who have actually have really long names. In some languages and cultures, names often go past 20 characters. To be clear, this is only for your display name, not your @user name. To change your display name, head on over to your profile, tap on ‘Edit Profile’ on the right side of your page, and then click on your current name. The feature appears to be live now, so go ahead and go wild.